The territory of Austria and the Austrian people can trace their national history of their country back to the founding of Ostmark. The first Babenburgs to rule were granted the territory as reward for their loyalty to Charlemagne. The family was from Bavaria. Ostmark / meaning eastern defensive realm of the West was a kingdom border region of the Frankish Kingdom of Charlemagne, Western Europe and eventually the Holy Roman Empire. 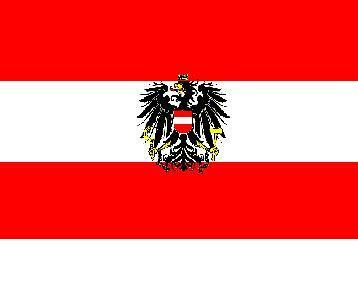 The history of the Austrian State began in 1914 only to end in 1935 and re-emerge as the Second Austrian Republic in 1945. Austria is a West European county despite occasionally being incorrectly cited as a Central or East European. Austrian history can be broken into the following five periods. Vienna gained provincial status after WW I. 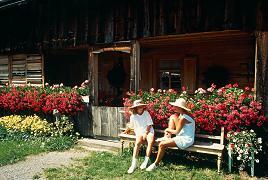 98 % German – speaking ethnic Austrian, the language is spoken in a softer more melodious manner than in Germany. Austria is a well developed Western European country, a member of the EU and UN. The country has a high standard of living, ranking as one of the most prosperous and ideal countries in which to live. The strong economy is a reflection of the highly skilled work force and education system of the country. Austria is a strong trading country, as well as an increasingly popular travel destination, and we can guide you on a fabulous trip, with our itineraries. Known as an Alpine country, the spectacular Austrian Alps offer great hiking, mountain climbing, mountain biking and many rewarding walking trails. The beauty of the Austrian Alps and their recreation opportunities, the grandeur of Vienna, a rich music and cultural history as well as steeped local traditions attract visitors to the country from around the world. The Austrian President is the Head of State of the country. Although a largely ceremonial position the President has significant influence in foreign and defence affairs of the country as well as with the judiciary and the Federal political stage of the country. The Chancellor is usually the leader of the party with the most members in the National Assembly which is most often a coalition government. Austria is a neutral country and also a member of most UN organizations. many site-seeing ideas, info and options, tips, routes, directions to guide you through the country worry free. self-guided / self-driving tour of Austria. ‘ An Introduction to Austria’ covers Austrian facts of history info, geography info, culture info, economic info, as well as info of the nine provinces of the country, and helpful word translation info per subject and helpful phrases to help guide with your communications through each day. 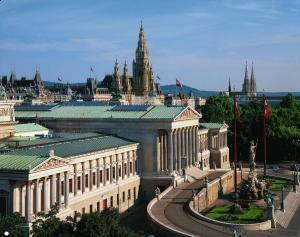 This informative background of Austria will provide you with a solid guide to understand and know the country.